Today I am going to review TWO Skeletor figures. Regular, and Battle Armor. Battle Armor Skeletor has the same sculpt, but some paint differences. 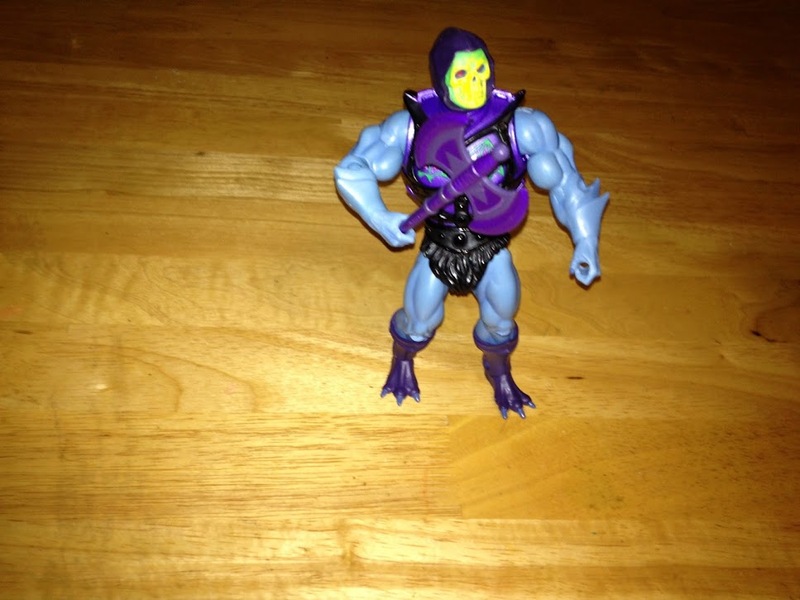 Regular Skeletor has a blue body and torso, while Battle Armor Skeletor is painted shiny purple underneath the armor. This was to accomodate the “belly shirt” problem that this “sports bra” type of armor creates. You won’t notice it as much unless you try putting the battle armor on regular Skeletor. Then it is a glaring fashion foux pa.
Of course there are no real action features. Battle Armor Skeletor has armor with a swappable chest piece that can show battle damage. A real nerd will remember that the vintage version had an action mechanism that would “flip” if you touched it. 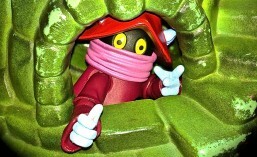 With the MOTUC version, you just decide how you want to display him. 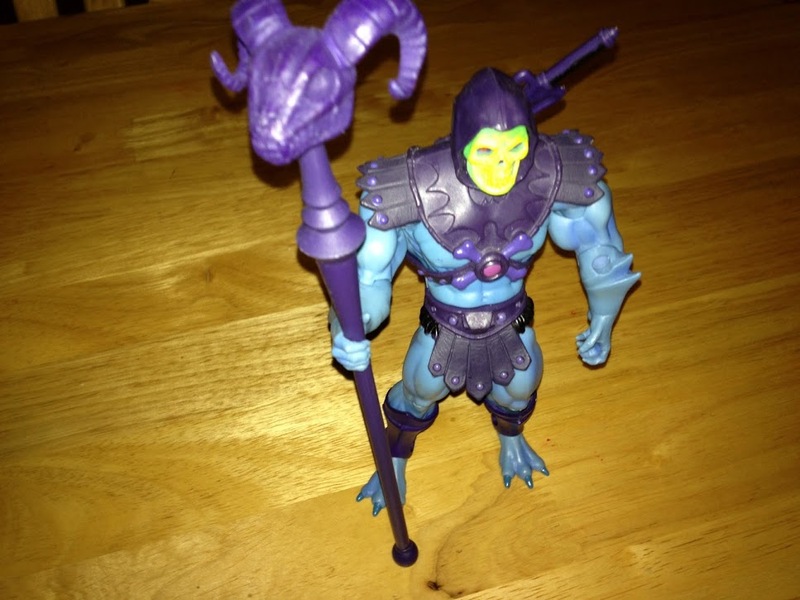 Regular Skeletor comes with the all important Havoc Staff, a half sword, and a full sword. Battle Armor Skeletor comes with only a purple battle axe. The truth is, I ordered Battle Armor first….should have done my research. He didn’t come with the Havoc Staff, though originally I thought he was the cooler version. When I got the Regular one in hand, I changed my mind. I am very happy with Skeletor. I suppose he should get a 5/5, but let’s not forget that I head swapped with Battle Armor Skeletor. If you want a more perfect version, you are going to have to order both. Or order all three if you are a perfectionist, and mix and match parts. (The third variant being Dragon Blaster Skeletor.) So for me, this makes him a 4/5. Do you agree? Let me know in a comment. Posted in battle armor skeletor, havoc staff, head sculpt, MOTUC, parts swap, Skeletor, toy review.